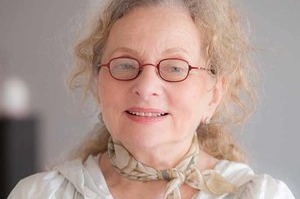 In March, 2019, after receiving a diagnosis of Alzheimer’s, poet Barbara Helfgott Hyett retired from all teaching activities. Barbara taught full-time for 53 years, having been a professor or poet-in-residence at almost every high school and college in the Boston area, and the news of her sudden retirement has shocked and saddened the Greater Boston poetry community. More than 30 years ago, Barbara co-founded the Writers' Room of Boston. She loved to write there, in the quiet company of others, and she used the Room to write several of her books, especially "The Tracks We Leave" and "The Double Reckoning of Christopher Columbus." The funds raised here will support a Fellowship at the Writers Room of Boston, to be awareded each year to a deserving writer with demonstrated financial need. where do I put the amount?